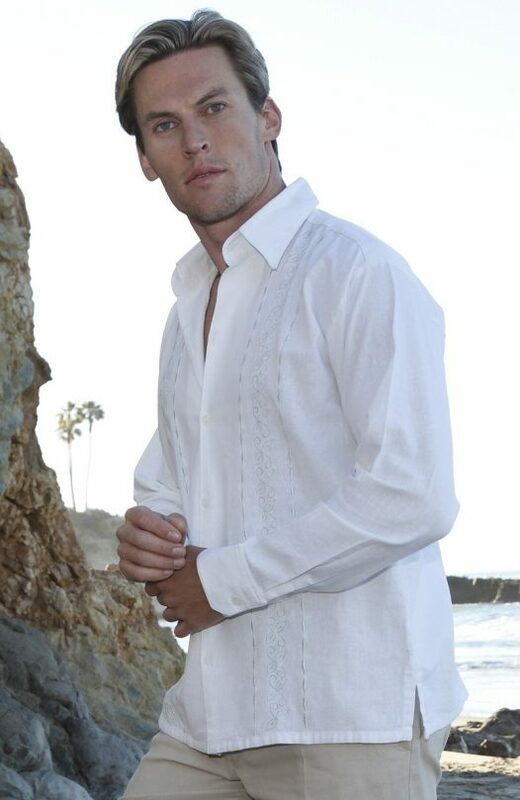 Our beach wedding attire for the groom is a statement of style, fashion and quality. Meticulous hand crafting of the highest grade linen lends an exquisite elegance you will feel and a rich designer style others will notice. The Coronado features an olive branch design and is one of our most subtle embroidery styles. It is partnered with pintuck pleats on each side. 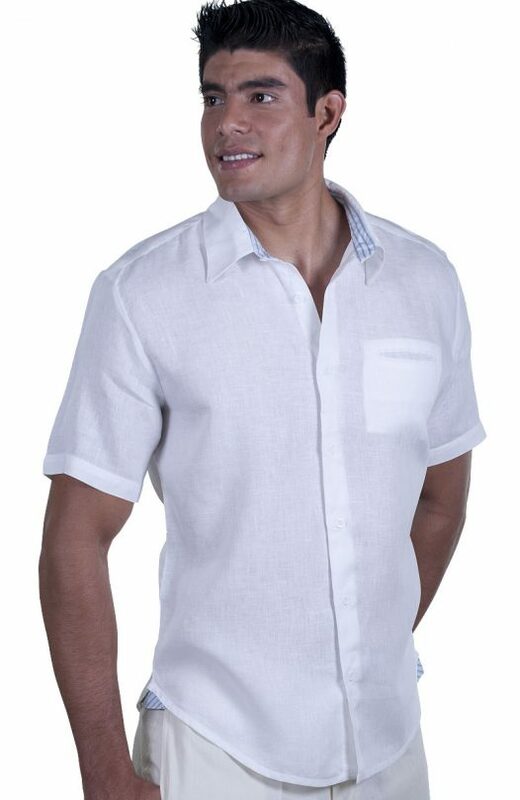 Comes standard in a relaxed fit with detailed side buttons and straight bottom hem. Choose from 24 different fabric colors and over 300 different embroidery colors. The Amuri has an embroidered leaf swirl surrounded by a delicate rope border. Features a relaxed fit style and straight bottom hem. Choose from 24 different fabric colors and over 300 different embroidery colors. The Butterfly Havana embroidery is a butterfly like design surrounded by a delicate rope border. 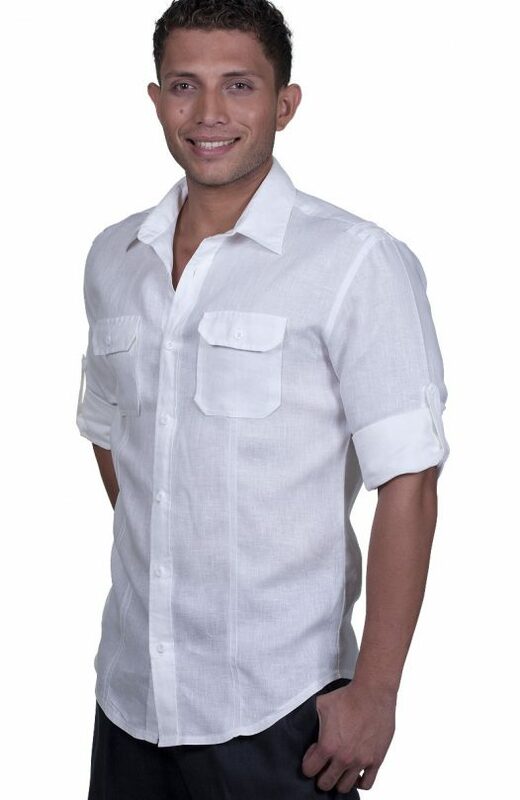 Available in White with white embroidery in long or short sleeves. Select the “Design It” button for our made to our order option. It includes more sizes up to 5XL, additional color and 300+ embroidery options, fit, style, and personalization options, as well as an option to tailor the fit. The Boracay features a new twist on our classic pleats, a simply subtle yet elegant statement for your day on the beach. Features a fitted cut and a curved bottom hem. Choose from 24 different fabric colors. 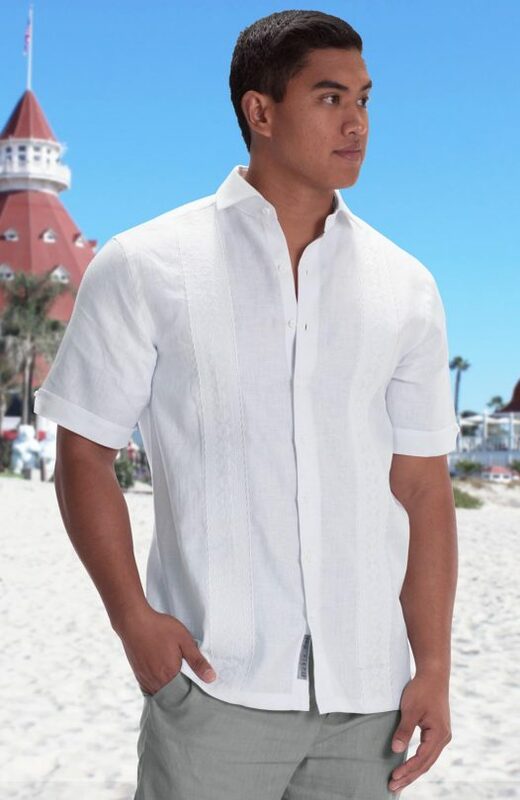 The Tulum is made of soft high quality 100% linen, perfect for formal or casual wear. It features a fitted cut with double pocket, rolled long sleeve, shoulder epaulettes and a subtle vertical double pleat. Choose from 24 different fabric colors. 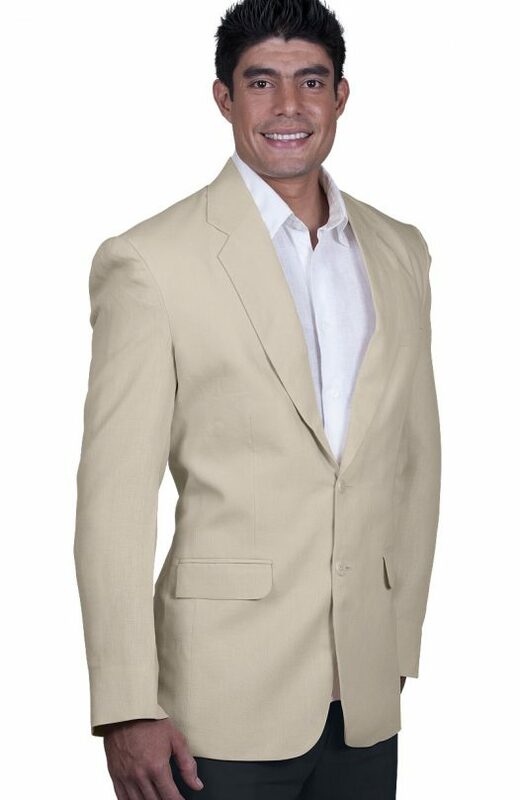 Our 100% Italian Linen suit jacket is a beautiful soft textured linen shell with full satin lining. Custom tailored to your exact body measuremen’sts, comes in 11 different colors and are the highest quality of workmanship and fabric you will find. 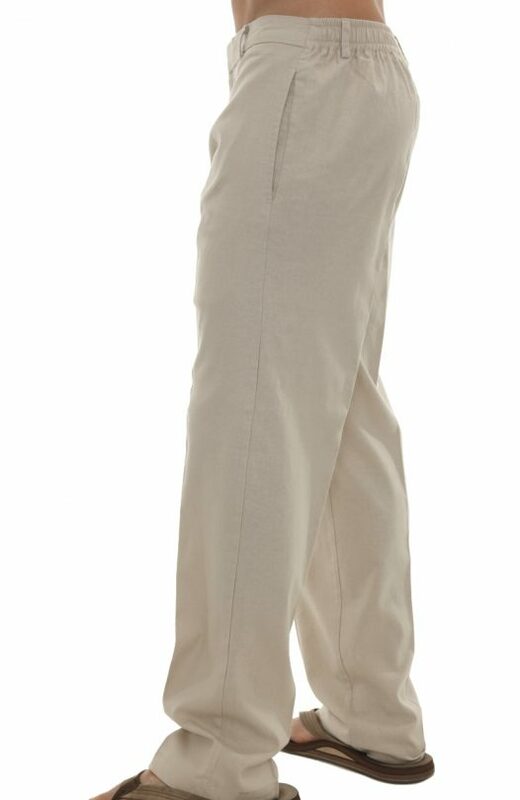 These pants are cool, comfortable, and best of all go perfectly with our Linen shirts. Elastic back gives you the comfort and flexibility of the full elastic waist, yet the dressier button in front and pockets. If not indicated, inseam comes 36″ unhemmed. Choose from 11 different fabric colors. 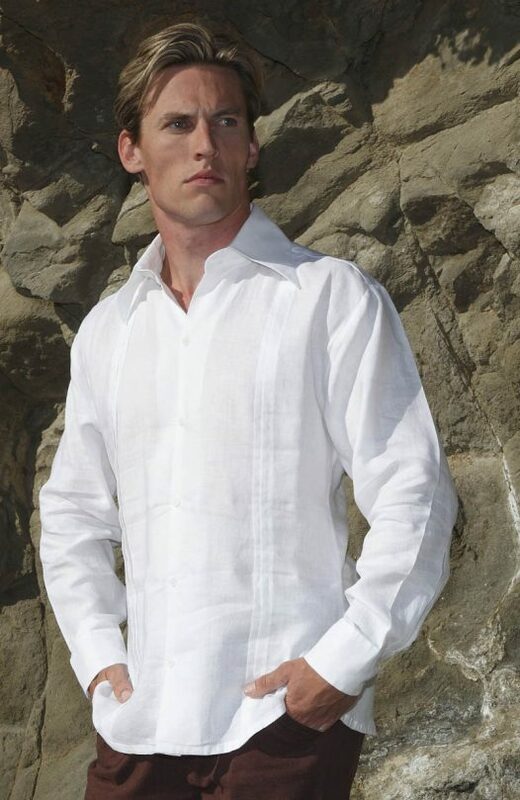 The Sonora is made of soft high quality 100% linen, perfect for formal or casual wear. It features a “fitted” cut with a contrasting patterned or colored fabric in the inner collar, shoulder epalauttes, shoulder peaks, snap buttons and long or short sleeves. The default inner collar and side detail fabric for the standard option is as shown. Choose from 24 different fabric colors. 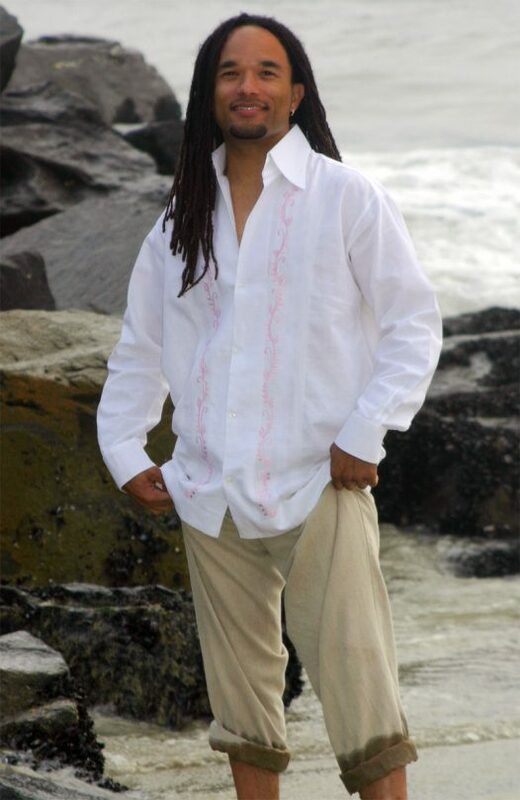 The Wesley is made of soft high quality 100% linen, perfect for formal or casual wear. 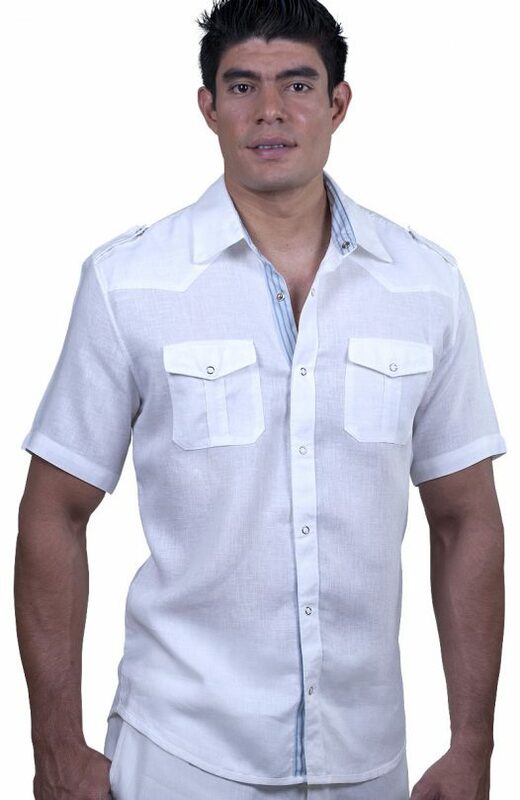 It features a fitted cut with a contrasting patterned fabric in the inner collar and small peaks on each side of the shirt, cigar pocket, and a subtle, decorative embroidery on the upper button placket. Choose from 24 different fabric colors. I wanted to let you know that the shirts are beautiful. I will send you a pic from the wedding after it takes place. They turned out so well and my boys are happy with what they are wearing. Thanks a bunch for all your help!